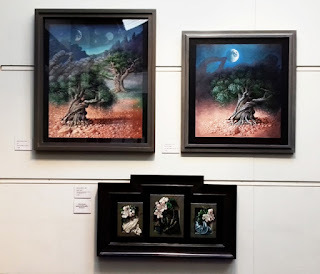 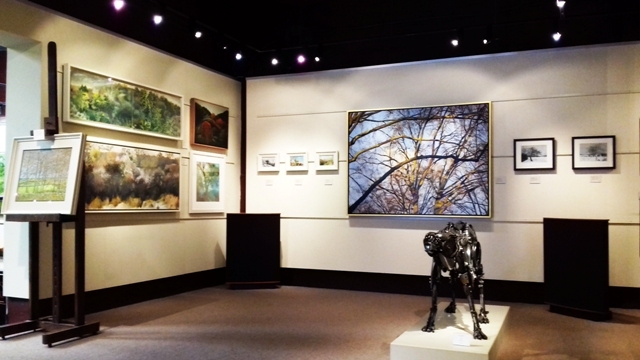 The private view for Arborealists & Guests at John Davies Gallery was held over the course of a weekend which was very successful and allowed John to invite guests who attended at their leisure over two days. Twelve of the Arborealists exhibiting attended on Saturday 7th July which was a very hot summer's day, alongside guest artist Miriam Escofet winner of the BP Portrait Prize 2018, who had two beautiful paintings of olive trees included in the show. 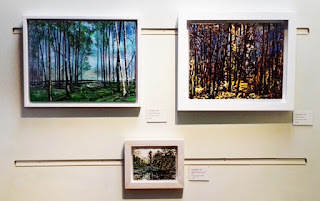 John Davies also exhibited paintings of his own as he also loves to paint the tree!